Olympic swimmer Ryan Lochte filed a police report for a robbery committed on him and three other U.S. swimmers in Rio for the Olympics. According to various accounts of the swimmers which differ, he and the three other swimmers were robbed at gun point of their money and wallet. But their credentials and cell phones were not taken. As a former prosecutor, when I first heard the details of Ryan Lochte’s account of being robbed, it did not ring true to me. In other words, I didn’t think it passed the smell test of being quite true. The one thing that stuck out was his cavalier attitude about having a gun cocked to his head in a foreign country known for its crime and violence. Lochte mentioned that he refused to lay down on the ground as allegedly instructed by the gun man or gunmen. And then after the gun was cocked to his head, he did so and was like “whatever”. Trust me the last thing someone with any bit of intelligence would do is treat an armed robbery in a nonchalant manner. And now the whole story appears fabricated after authorities saw CCTV video footage of the swimmers in the gas station doing the damage, allegedly assaulting a guard and damaging a door and other property, and not the other way around. That coupled with the video of their return to Olympic village with wallets intact—and not with a robber, as Lochte claimed, presents some further issues. Lochte says he did not lie. And so yes, the Rio authorities were correct to detain the swimmers as they would any other person suspected of filing a false police report. Lochte had already left Rio. 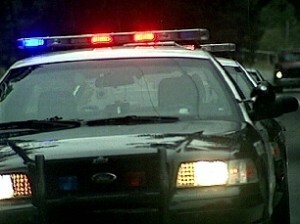 I don’t know about the law in Rio or Brazil but filing a false report is a crime in most U.S. jurisdictions. It is a misdemeanor. And most people file one to cover up some other true incident—as might be the case with Lochte and fellow swimmers. A Rio 2016 spokesperson defended Lochte and his teammates. “These kids tried to have fun, they tried to represent their country to the best of their abilities,” Mario Andrada told reporters. “They competed under gigantic pressure. Let’s give these kids a break. Sometimes you take actions that you later regret. They had fun, they made a mistake, life goes on.” At 32, Ryan Lochte is hardly a kid. And he and his fellow cohorts should not be treated like as if they were kids pulling a prank. If what is being reported is true, it was anything but boys will be boys. It is likely a criminal act—not a kid’s prank. In contrast, if the parties involved had been African American Olympians, I dread to think of what the headlines might have read. 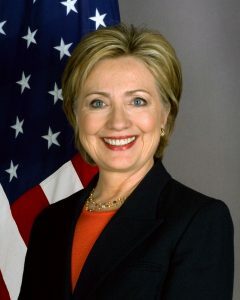 I am sure it would have talked about “thugs”, persons “up to no good” as said about Trayvon Martin, raised by a single mother with no father in the home, “robber” as Michael Brown was called and other nefarious statements used to describe the actions of African Americans even when they are the victims. There has been nothing but support for the white swimmers who may have committed multiple crimes while representing the U.S. I would have liked to see some of that support for Gabby Douglas who was bashed online for not placing her hand over her heart during the National Anthem. I surmise that the swimmer crew might have needed to account for their time missing in action and also possibly their lack of money-allegedly used to cover their you know whats. Money was allegedly used to pay for property damage and to persons to prevent the story from becoming public. If so, that money was not well spent. UPDATE: Ryan Lochte and Jimmy Feigen have been indicted for filing a false report. Lochte denies the charges. According to the AP, two of the swimmers have now stated the police report was a fabrication. 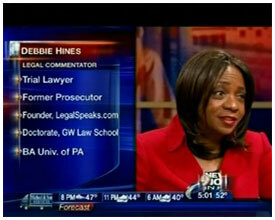 Washington, DC based Debbie Hines is a trial lawyer, legal analyst /political commentator and former Baltimore prosecutor.